We understand your decision to purchase one of our vehicles is not being made lightly and we thank you for putting Hyundai on your list. If you do decide to choose Hyundai, that won’t be the end, it’ll just be the start. Our goal is to live up to the confidence you’ve shown in us, by giving you the best customer service experience in New Zealand. We call this the Hyundai Ownership Experience – which is a slightly corporate way of saying “we promise to look after you”. When you come in to pick up your new Hyundai, your dealer will take you through it from bumper to bumper. They’ll show you where everything is and how everything works. They’ll make sure you’re across all those little things most people forget to ask about, like how to connect and play your phone through the audio system. They’ll also check there’s a full tank of fuel (unless you're driving an EV! ), that the vehicle is spotless inside and out, and that any accessories you specified are fitted just so. This is also our opportunity to introduce you to the service team, who’ll be looking after you in the years to come. There’s a good reason why your dealer will introduce you to the rest of the family. They’re the people entrusted to be hands-on through your Ownership Experience – the team who’ll look after you and your vehicle when you come in for scheduled servicing. It’s always good to be able to put a face to a name. And knowing them means you can call personally to discuss any concerns. Our people are experts at what they do and keen to show you how good they are. It’s a pride thing and we encourage it. 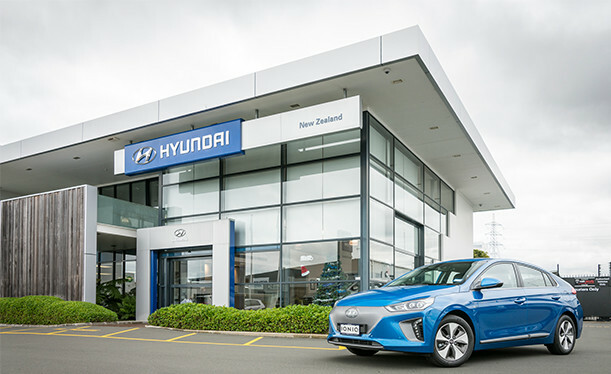 If you dial 0800 HYUNDAI (498 632), you’ll be talking directly to one of our Hyundai Ambassador Team members sitting at our head office in New Zealand. Our team are trained to get your problem sorted, and they’ll be able to help you out with anything you need. For us, customer service is not a department, it's an attitude. We respond to every request, no matter how big or small, as quickly as we can. That’s the New Zealand way of doing things, and it’s our way too.